The best way to keep informed of upcoming Green Mountain Mahler Festival events is to join our e-mail lists. To subscribe or unsubscribe, fill out the form below. Please subscribe me to the GMMF Orchestra List. Please subscribe me to the GMMF Chorus List. Please subscribe me to the GMMF Announce List. This list is for audience members and members of the media who wish to receive announcements of upcoming events. Please unsubscribe me from all GMMF e-mail lists. 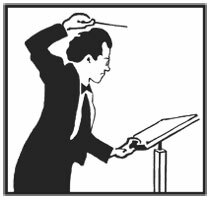 If you are asking to join the orchestra or chorus list, please tell us about your musical background.